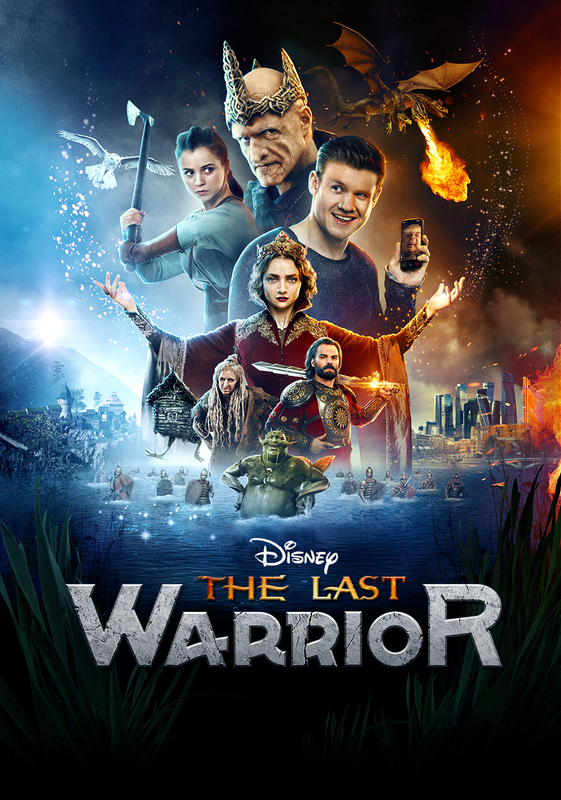 The film opens with sorceress Varvara, princess of the fantasy world Belogorye ("The White Mountain"), hunting down who she claims to be the last Bogatyr in the world. She petrifies him and throws him into the sea, where hundreds of other victims rest. Ivan Naydenov is a young man living in modern Moscow, an orphan who managed to make his way in life by being a con artist: he masquerades as a "white mage", starring in rigged psychic contest shows and performing "rites" for clients. He starts having doubts about his selfish life choices, however, when asked to help a boy in a coma to wake up, which he obviously cannot do. One day, during a faulty escape from a client's husband, he miraculously ends up in Belogorye. This parallel world is inhabited by the characters of Russian fairy tales and magic is commonplace. Leshy appears to have dragged Ivan there, claiming that Ivan is the lost son of Ilya Muromets himself, hidden on Earth years ago. Ivan is then immediately captured by Varvara's warriors and brought before prince Dobrynya Nikitich. Dobrynya seems friendly at first, but Varvara soon throws Ivan into dungeon behind her husband's back. There, Ivan meets disembodied Koschei, who tells him that the only way to get back to Earth is by using the magical Sword Kladenets. He himself used it to achieve immortality, but Bogatyrs overthrew and imprisoned him thirty years prior. Since the forces of good have won, first most of the magical creatures were imprisoned or killed, and then Bogatyrs themselves. Provided Ivan is truly the son of Ilya, he can uncover the Sword and use it to bring the magical creatures back their power, and to return home. Baba Yaga is soon captured and thrown into the same dungeon, but it proves to be a trick: she brought along Vasilisa the Wise in frog form, who easily releases the prisoners. Despite Ivan being more of nuisance than any help, the three decide to take him with themselves and find the Sword together. Escaping the dungeon, they also enlist Vodyanoy the Merman, attracted to Baba Yaga (in her younger form, obviously). Koschei tells Ivan that Vasilisa helps them because her entire village was turned into frogs by jealous Varvara after she caught the eye of Dobrynya. Despite bonding with Vasilisa over the loss of their parents, Ivan still decides that he wishes to get home and not to stay with her. Varvara eventually captures the heroes, turns Vodyanoy into stone and forces Ivan to get the Sword for her, lest his friends are killed. Ivan does recover the Sword and overpowers his foes with it, but Koshei turns out to be in league with Varvara. Moreover, Dobrynya himself is revealed to be the mastermind of the whole scheme, planning to use the Sword to get the same kind of immortality as Koschei. Reasoning that he no longer needs his help, Dobrynia betrays Koschei, and Ivan uses the Sword to escape to Earth. Back in Moscow, he quickly realizes that he cannot abandon his beloved Vasilisa in trouble, and decides to get back. Upon finding Leshy, he returns to Belogorye, sets free Zmey Gorynych and uses a modern handgun to fight his way to Dobrynya. However, the latter has already completed the ritual and is now immortal, about to execute Vasilisa and Baba Yaga. Using Gorynych as distraction and cover, Ivan challenges Dobrynya to a fair duel, hoping to give his companions time to destroy the magical stone and therefore undo the Immortals' invulnerability. During the fight, Dobrynya reveals that it was his envy of Ilya that led to betrayal of bogatyrs. Koschei eventually gets his hands on the magical stone, and, touched by the selfless heroism of his companions, decides to shatter it, killing himself and Dobrynya. Varvara escapes Belogorye in horror, and her petrified victims come back to life, Ilya among them, reunited with his son now. Ivan decides to stay in Belogorye rather than return to the life of a fake "mage", marrying Vasilisa. The only thing he comes back into his world for is to use the real magic to help the comatose boy from the beginning of the film. The film ends with Varvara on Earth, meeting her mother. It is revealed that the two planned to enthrall Dobrynya and gain dominion over Belogorye, but with that plan failed, will now have to make a different move.